Direct mail is one of the most cost effective ways of reaching your target audience. It is a more efficient marketing tool then newspapers, inserts and advertisements. Choose a mailing list based on Consumer Data, Business Data, Income Level or Demographics like age or gender. From a personal mailing of 500 pieces to any size mass mailing. Direct Mail Marketing is the driving force for delivering information and ideas directly to your customer specific database. We offer EDDM (Every Door Direct Mail). 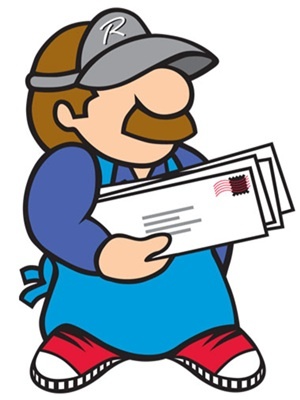 USPS postage for 14.5 cents, use our mailing permit or the best possible postage prices. Come visit or call us today @ 888-608-9797 to see how Ridgewood Press can help you. Mailing Lists: Targeted Lists, Business Lists, Consumer Lists, Occupant Lists, D+B Business Data, or any list to match you particular needs. Data Services: Address Corrections (Class Certifications), National Change of Address (NCOA), Presorting for First Class, Standard, Non-Profit and Periodical Mail (PAVE). EDDM (Every Door Direct Mail): You can target certain areas of towns or entire cities, More effective saturation than Newspaper inserts – no house is missed, No cost address or purchase names & addresses, great for announcing store openings, sales and special events. Our In House Art Department can help you with all of your design needs.